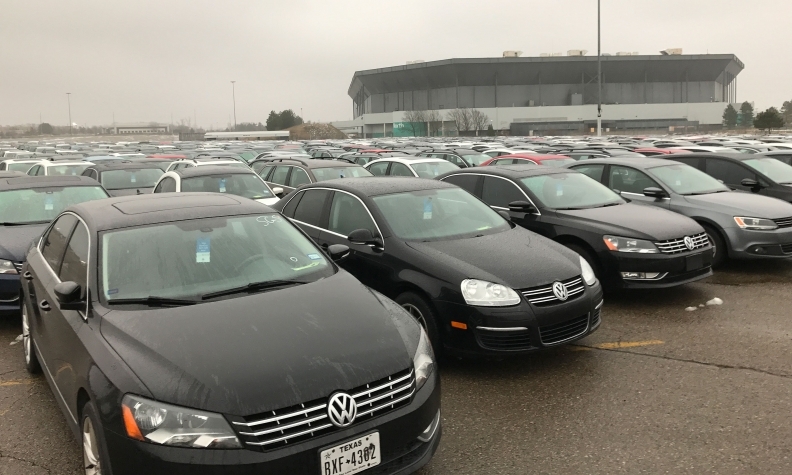 Volkswagen’s efforts to put its diesel emissions violations behind it hit a minor speed bump this week when the city of Pontiac, Mich., filed a lawsuit against the owners of the dilapidated Pontiac Silverdome, where thousands of VW diesel models are being stored without proper permits after the company bought them back from customers. The complaints, first reported by the Oakland Press, were filed against Silverdome owner Triple Investment Group, based in Detroit, in the 50th District Court of Pontiac. As part of a sweeping settlement with U.S. regulators over widespread emissions violations, vehicles equipped with VW’s 2.0-liter TDI diesel engines have been repurchased from owners, removed from dealerships and stored at regional sites.